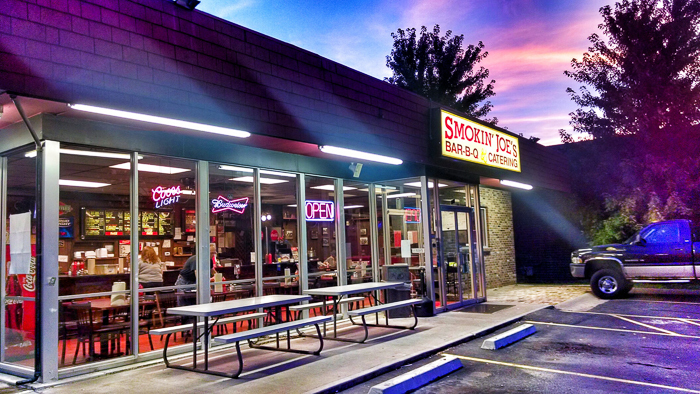 A local BBQ place in Olathe, KS that was recommended by the clerk at the hotel. Small and out of the way, the BBQ was excellent. A smudge on the camera phone lens caused the lights to exhibit the strange pattern. Processed in Snapseed. Posted in Droid Maxx, Travel/Vacations.